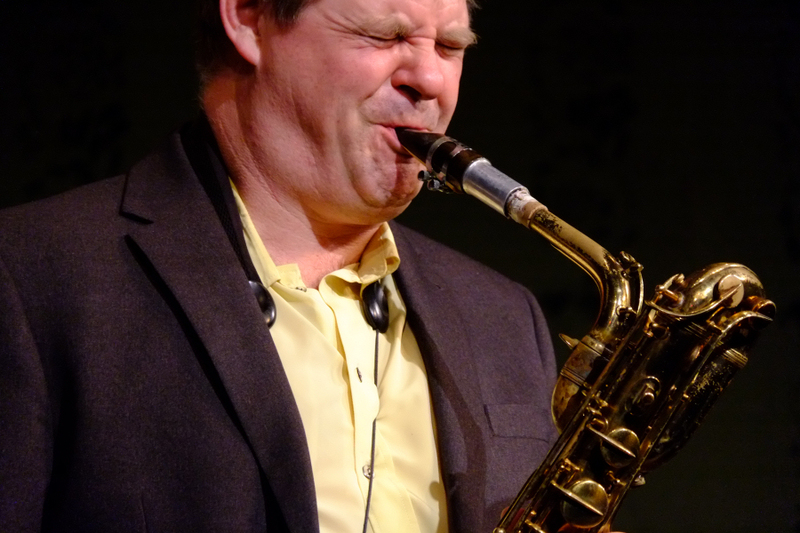 Sunday saw the return of top sax player Derek Nash with his acoustic quartet of David Newton (piano), Geoff Gascoyne (bass) and Matt Skelton (drums). Opening with a beautifully sublime version of "I'm old fashioned" the audience soon knew they were in for a treat. Thereafter the thirteen number set saw Derek alternating between soprano, alto, tenor and baritone saxes, sometimes during the same number, whilst the other members of the quartet gave great support with solo opportunities throughout. A bass ukulele solo on "Time lag" from the new album provided an unusual twist and a rousing round of applause. The set was made up of a mix of self-penned numbers and standards with a new twist and the question was did the audience dig it? Judging by the applause at the end they certainly did.